LAHORE: Ambassador of the People’s Republic of China to Pakistan H E Yao Jing on Friday said that China could not afford to lose Pakistan because stability in its neighbourhood was integral to China’s development. In his keynote address at an interactive policy dialogue organised by Lahore Centre for Peace Research (LCPR), “Pakistan-China Relations in the 21st century” in honour of H E Yao Jing emphasised that Pakistan mattered to China’s vision of development and growth as enshrined in last year’s 19th China’s Communist Party Convention. He iterated that Pakistan’s importance to China would continue to increase because of the all-weather Pak-China relations and the centrality of the China Pakistan Economic Corridor (CPEC) route in the Belt and Road Initiative (BRI). 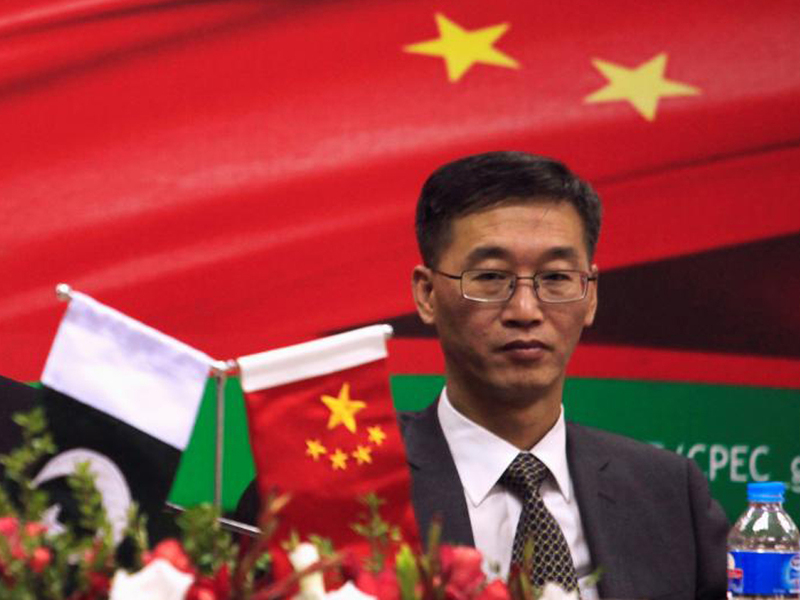 Yao reminded the distinguished gathering that China envisaged the CPEC to be a lead project for connectivity and peace, and remarked that the project was not only for the benefit of Pakistan and China as “ownership of CPEC finally belonged to the whole world”. Earlier, Ambassador Shamshad Ahmed Khan, former foreign secretary and the incumbent Lahore Center for Peace Research chairman highlighted the unwavering commitment of Pakistan and China’s leadership to build stronger economic and social ties between the two countries. He emphasised that China’s relations with Pakistan were not based on transient interests but had always remained unconditional. He stated that China’s BRI was a huge regional agenda with mutual interests rooted in China’s and Pakistan’s common vision for a better future and prosperity of the region. “Rooted within BRI is the CPEC initiative that harbours economic prosperity for the greater benefit of the entire region,” he said. He praised the Chinese leadership for promoting worldwide connectivity for socio-economic development and reiterated that Pakistan was also determined in its commitment to support the CPEC. The event was attended by Chinese Consul General Long Dingbin, former finance minister Dr Salman Shah, former Pakistani diplomats and notable defence analysts as well as people from the academia.